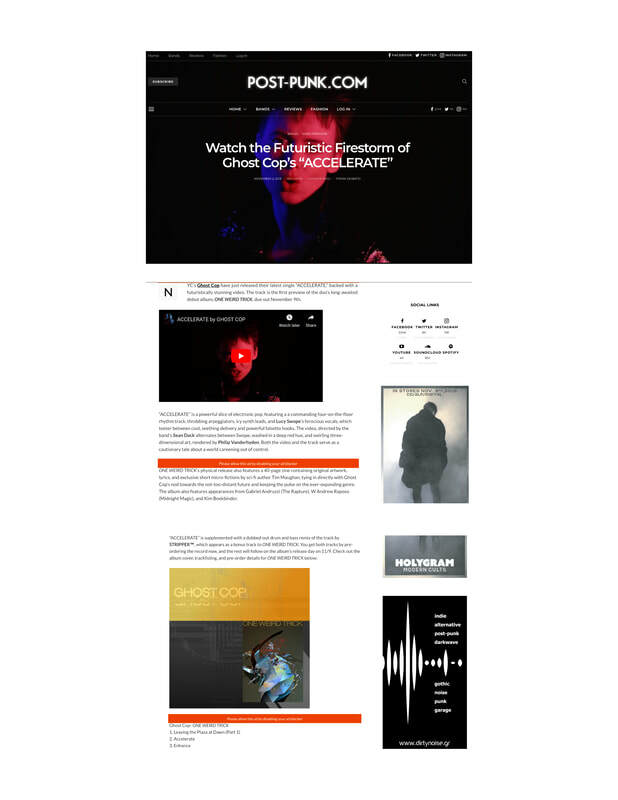 Feature on Post-Punk.com on the music video for GHOST COP's new single Accelerate that I directed. GHOST COP "Accelerate" Official Music Video from Sean Dack on Vimeo. Cover design I created for GHOST COP's debut LP, One Weird Trick, out now on Observed Phenomena. Photographs of the book I created the work for and designed for the deluxe edition of GHOST COP's debut album One Weird Trick. This limited edition publication was in a hand numbered edition of 50 copies. I was invited by Atlas Obscura, The New York Transit Museum and Chase Sapphire to develop an audio visual installation in a working vintage subway car. Each car was based around a specific era in New York history and I was tasked with the 1960’s, which I took in the most abstract direction possible. Using La Monte Young and Marian Zazeela’s continuing work in the Dream House as an inspirational starting point, the work also contained references to the ghosts of futures past of the 1964 New York Worlds Fair. ​The audio portion of the installation was based around manipulated audio from period accurate interstitial soundtrack and newsreel bumper music. The project had unique issues to solve in that every piece of equipment had to be battery powered for the duration of the event since subway cars do not have working outlets and get their internal power from the third rail. Thanks to everyone at AO and NYTM for all the help on this fun project. 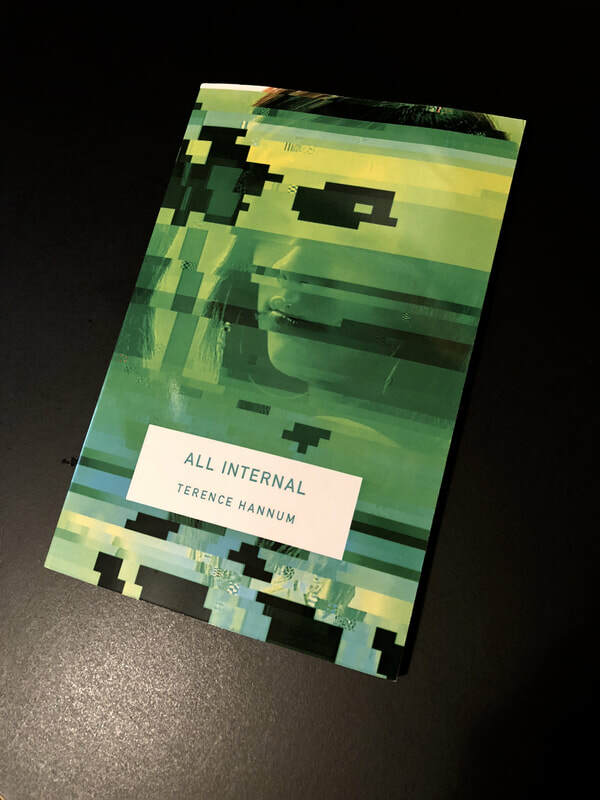 COVER IMAGE FOR TERENCE HANNUM'S NOVELLA ALL INTERNAL. ​PUBLISHED BY DYNATOX MINISTRIES. Moon Rock 5 by Max Pask and Pixelife. Live visuals by Sean Dack. Four, one minute teaser videos for the release of the new STRIPPER™ EP on Sleeve Press. STRIPPER™ Four Teaser Videos for Sleeve Press 02 from Sean Dack on Vimeo. Juju and Jordash Rah Rah [OFFICIAL MUSIC VIDEO] Dekmantel from Sean Dack on Vimeo. STRIPPER™ Consciousness Proliferation (Back 2 93 Mix) [Official Music Video] from Sean Dack on Vimeo. Pixelife Chimeras In The Matrix from Sean Dack on Vimeo.